A router has the most insignificant existence in our networked world. The only entities that matter to us on the information superhighway are our end consumption devices, data providers and the numerous content creators. And yet without a router, we are only lost souls with no link to the internet, no digital life. So, how does one make routers cool? How can a router be a part of our daily grind and conversations? How does one get millennials to start noticing routers too? One router brand, Digisol set out on a journey of making a name for itself in our increasingly social media driven age. Digisol wanted to woo millennials, it wanted to be a part of millennial cool talk. It partnered with Buzzinga Digital to create a brand positioning for Digisol, solely based on the product USP – Digisol is assembled in India. The team looked to reaching out to millennials by creating content that interests them. 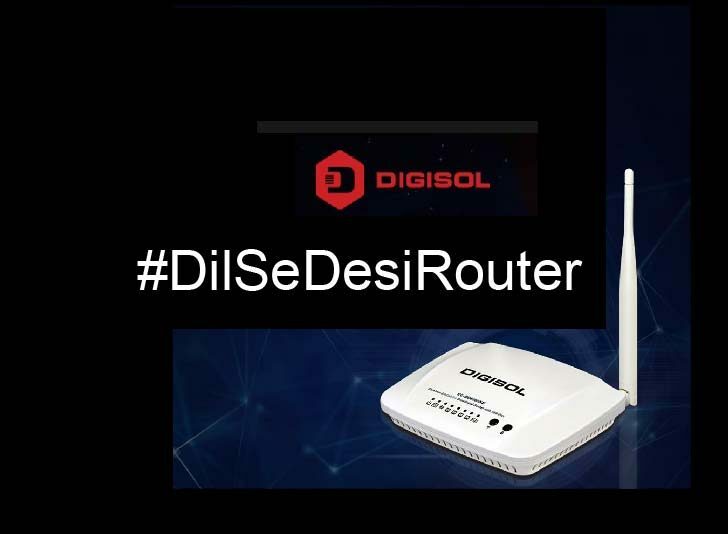 Thus began the brand positioning around ‘#DilSeDesiRouter’, a year-long content marketing endeavour to make Digisol a cool router. During Independence Day, the most patriotic time of the year, Digisol rolled out an #AntiVideshiRant video. The video was a humorous tribute to all things millennials do to try and be as Indian as possible and, yet with routers that are as foreign as foreign gets. Viewers felt relief when told that they were supporting the nation by using a Made in India router. Diwali was chosen as another occasion to connect with the Indian family. In this video, the router speaks for itself, a humourous rant rather where it complains of being ignored, unlike all the other stuff that get cleaned and Diwali-ready. A #ConnectedDiwali campaign was launched that talked about the importance of staying connected with loved ones even if not physically present with them during the festive season. A contest was also run along with an influencer activity. A fashion blogger shared her top picks for the Diwali festival and shopped for them from home using the Digisol Routers. Digisol also took up typical millennial interests like Tinder and YouTube with a fun historical tweak in #AitihasikWifi, a content series that was the brand’s take on what history would be like if these apps were present in history. An element of fun was added to regular product posts, using a combination of latest news, movies and things related to the audience. In this one, Yoda also has a say on Digisol routers. The horror of being disconnected from the internet has been well portrayed in this hilarious video. And when he completely loses his mind, in comes Digisol to his rescue. “How parents use internet Vs How we use internet” is another video that shows the different and fun ways in which our parents use internet and how is it different from the way we use it. With affordable data, decent mid-range smartphones and an increase in on-the-go consumption behaviour, 2018 is the age of videos. The audience specially the target audience, largely accessible on Facebook, prefers to watch videos that are fun, relatable and not overtly trying to sell them something. Digisol’s effort with creating content specifically keeping this consumer segment in mind, is certainly helping the router brand to make a positive impression. The element of fun has further added to the content making it sharable with friends, even if it is content created by a brand. From having a Facebook page with poor engagement, today the Digisol page has seen a 10x increase in engagement. #DilSeDesiRouter has certainly helped build Digisol as a robust router brand that is also fun, friendly and part of your tribe.